Our fresh, new reception area is clean and bright. You're welcome to use the hand sanitizer that is provided. Face masks are available for you to use in case of a cough. We're happy to assist you in rescheduling an appointment if you feel unwell. All surfaces are regularly wiped and cleaned with particular attention paid to the children's corner and all the toys and fun things that are in it. 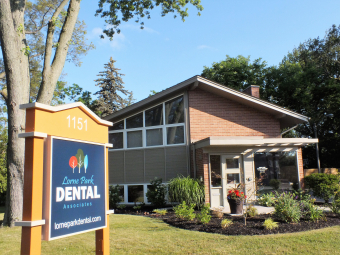 All of our Lorne Park Dental treatment rooms have been recently renovated with new equipment and cabinetry. Our infection control protocol follows 'Routine Practices' for all of our patients. Royal College of Dental Surgeons of Ontario (RCDSO) Infection Prevention and Control in the Dental Office document guidelines are followed. Hard and soft surfaces such as phones, cabinetry, lights, sinks, switches and chairs are treated with an effective 0.5% hydrogen peroxide disinfectant. Suction lines are flushed with water and water lines are run between every patient. Single use plastic barriers are used on computer keyboards, light handles, headrests, chair controls, digital x-ray sensors etc. Single use items such as bibs, cups, the saliva vacuum and toothpaste polishing cup are used. Instruments, including handpieces (dental drills) are sterilized in a steam under pressure autoclave which kills all infectious material. You'll see us open the sterilization bags immediately prior to use, just for you. Sanitized sunglasses are provided to protect your eyes. Hands are carefully washed according to Public Health Department recommendations. Our team wears face masks and new gloves for every patient. Our uniforms are freshly washed. We wear street clothes when we leave the office. We pay particular attention to how we touch things in order to avoid cross-contamination. We regularly review our infection control procedures to ensure that what we are doing is consistent and highly-effective. We have two Infection Control Coordinators to assist us and oversee our infection control procedures. How do we know the sterilizer is working properly? Mechanical Monitoring - Gauges and readouts are checked and logged for proper temperature and pressure for every sterilizer load. Chemical Monitoring - Colour change indicators on instrument bags show that acceptable high heat and pressure sterilizing conditions have been met. Biological Monitoring - Spore tests are done by placing a vial that contains living spores through a regular sterilizer cycle. The vial is then checked in the office to ensure that the sterilizer is working properly. 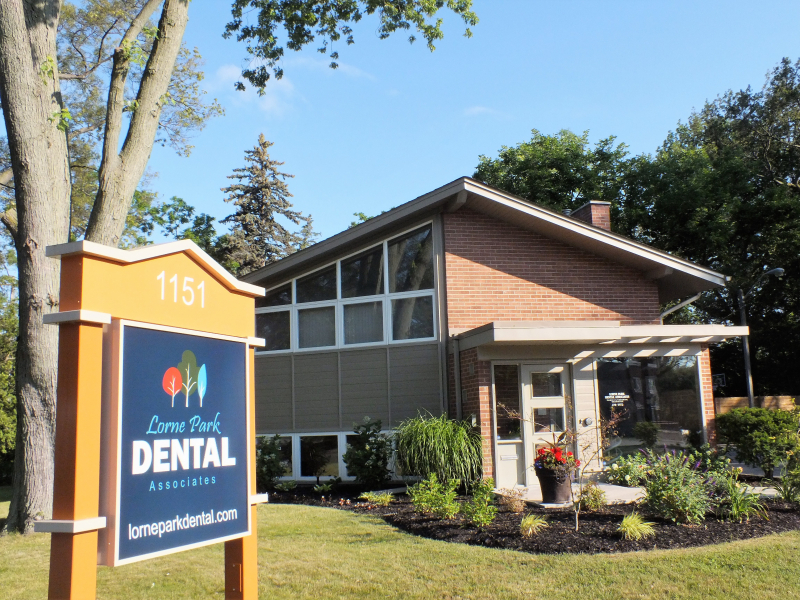 As you can see, our Lorne Park Dental team puts significant time and effort into our infection control practices. We are proud of our efforts and would be happy to speak with you if you'd like to learn more about what we do. Our goal is to keep everyone healthy and smiling!